or download a free sample here. It is Tuesday morning and Mark is waking up. The tranquillity of sleep has been interrupted by the radio turning on. The room is filled by the usual cheery opening salvo from his favourite radio station, proclaiming that that he is listening to the greatest curated music in the country. If you have doubts what impact sound and music have on you and your daily life and how you can use it in marketing and branding, you will get a number of answers in the book. The book “Soundbranding – the connection between investment and emotion” is targeted to everybody with an interest in branding and marketing on the average level, as well as students and professionals within the field. The company is an accomplished coordinator between consultants and interested clients for various types of events including: conferences, staff meetings, and more. Soundbranding C.E.O. Birgitte Rode is a registered speaker at A-Speakers with expertise in sound branding. When exploring trends, possibilities, and requirements in the field of branding or music integration the input offered by Birgitte Rode may prove inspirational. Furthermore, proper implementation of sound and music for branding may become a strategic success for any company when using Birgitte Rode’s experience. In order to request consulting or lectures offered by Birgitte Rode contact us, or submit a request here. Bang & Olufsen, Client Case, BRANDsense p. 81, 82. Soundbranding, formerly Audio Management, 2001 – 2002. 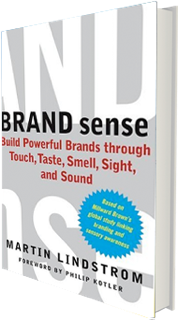 The ringing tunes created for Bang & Olufsen were used and described by Martin Lindstrom in his book: Brand sense. The case was used as a model example of using sound to refine the sensory touchpoint of a product to boost brand equity. 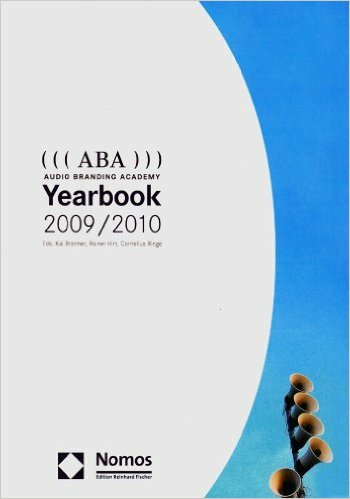 Being an internationally recognised expert in sound branding Birgitte Rode was invited to cooperate with the Audio Branding Academy regarding their Yearbook 2009/2010. 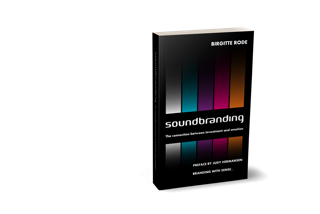 An article by Birgitte Rode: Sound Branding – How to Get There was published in the Audio Branding Academy Yearbook 2009/2010. The article explained how can a brand form a musical personality to develop its identity and gain impact. The article provided a case example of such a phenomenon by referring to Disney, and discussed differences between Sound Branding and Celebrity Branding. Birgitte Rode contributed to the book “Pleasures of the Unknown” by Chris Hewitt, released on the 10th of April, 2015. The contribution included both the front and back cover photos used in the book, as well as an article.The book describes the life of the world-famous producer Martin Hannett. The creator of Manchester Sound is most famous for his production of U2, Joy Division, Stone Roses, New Order, and Happy Mondays. The article contributed by Birgitte Rode shreds light on a not so well known chapter of his work: “The Untold Scandinavian Story of Johnny and the Cold Demons and Martin Hannett”.